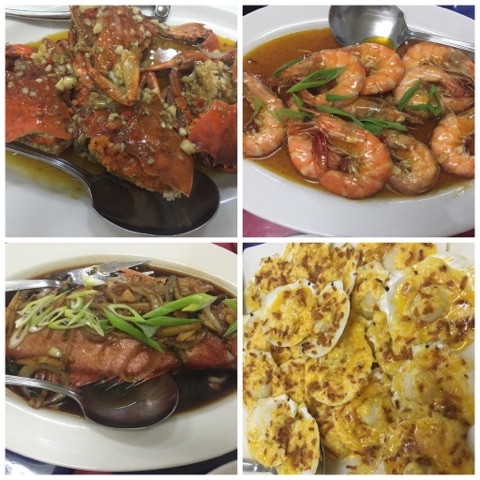 Dampa Sucat Parañaque needs no introduction if you are familiar with this concept. 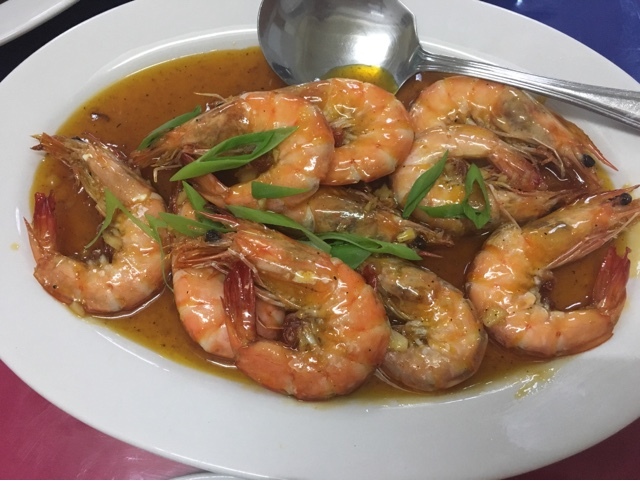 But for those who have not been here yet, dampa is comprised of several restaurants serving seafood meals which are cooked fresh straight from the mini-market at the back of the area. You can choose your own seafood catch and pay for the cooking fee. You may also just let a resto employee take care of everything so you can just wait at the dining table. The menu actually varies depending on which local restaurant you'll choose. 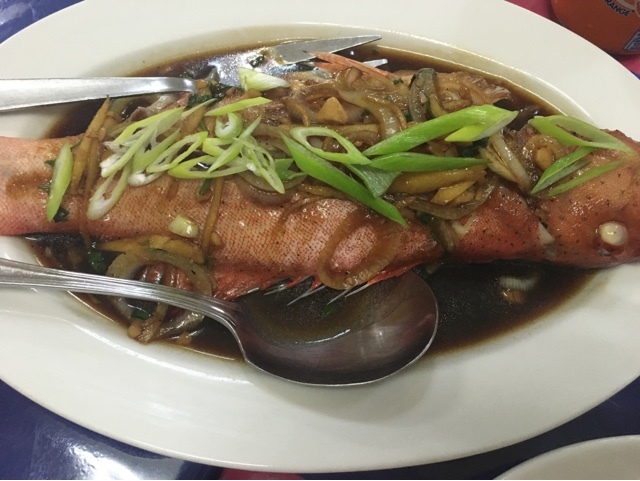 The usual items are seafood dishes in various cooking style. You can also order chicken, pork, or even beef, depending on what's available. 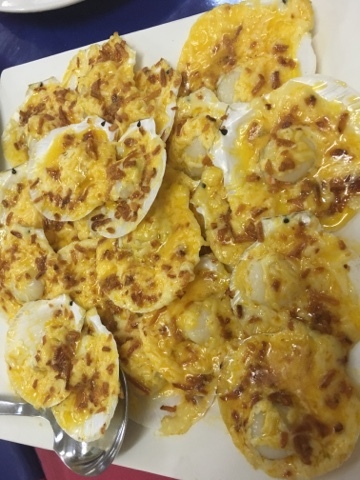 Above, you'll find buttered crab and grilled mussels with cheese. 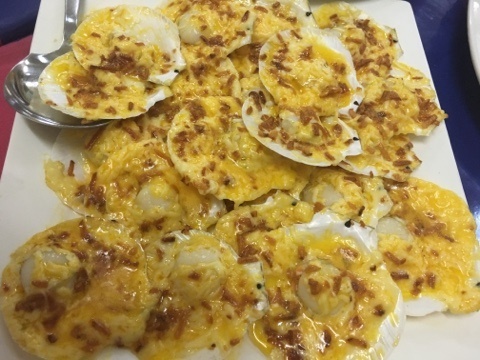 Below are non-filtered images of grilled scallops with cheese and garlic, lapu-lapu (grouper) escabeche, buttered shrimp, and buttered crab. Pricing also varies depending on the restaurant you'll choose. 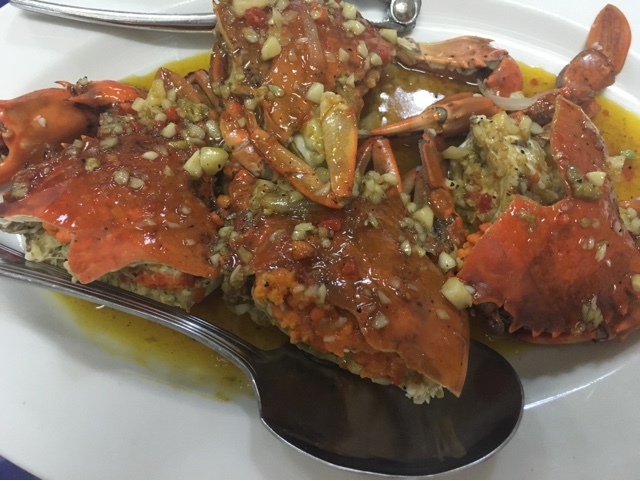 In most cases, most items are paid per kilogram, particularly, crab, shrimp, scallops, mussels, and other related seafood catch. The cooking fee is paid separately. Availability is also seasonal; not all items are available all year round. 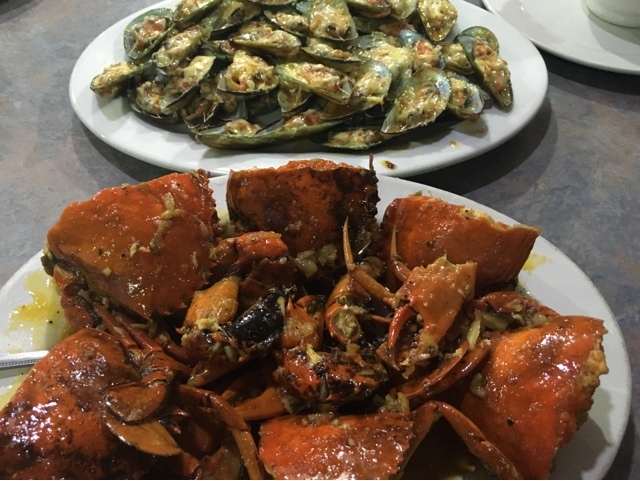 To get an idea in terms of prices, there's a list of restaurants in Dampa sa Parañaque from Zomato including their menu and prices.